I am not sure what to make of the fact that one year anniversary of this blog falls on the 90th anniversary of Komsomol – Communist Union of Youth which I joined at the ge 14 back in 1983. Komsomol was a third step in the Soviet brainwashing pyramid after the Little Octobrists and the Young Pioneers. 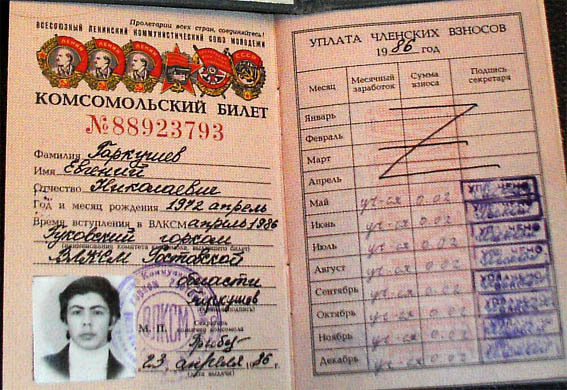 Knowing that the big 90th anniversary is coming up I was trying to think what do I remember about being in Komsomol and couldn’t come up with anything. 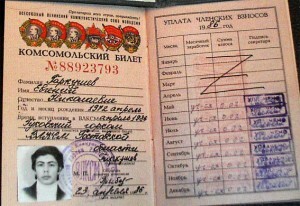 By 1983 joining all the communist organizations while still mandatory, became more or less a formality. 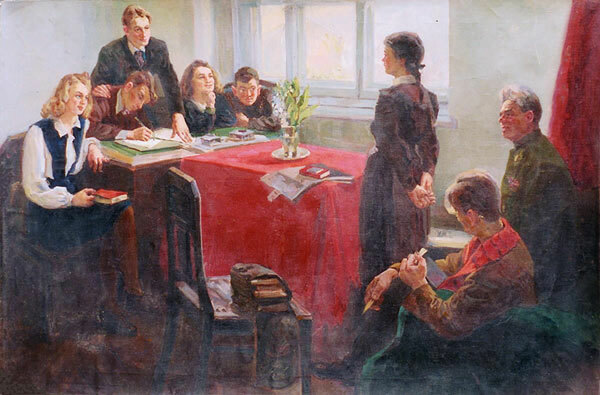 People who refused to join were constantly harassed by Komsomol leaders appealing to their non-existent communist spirit; on the other hand, “troublemakers” and openly religious people weren’t easily accepted, which could have had a negative influence on their future lives and chances of getting into college. 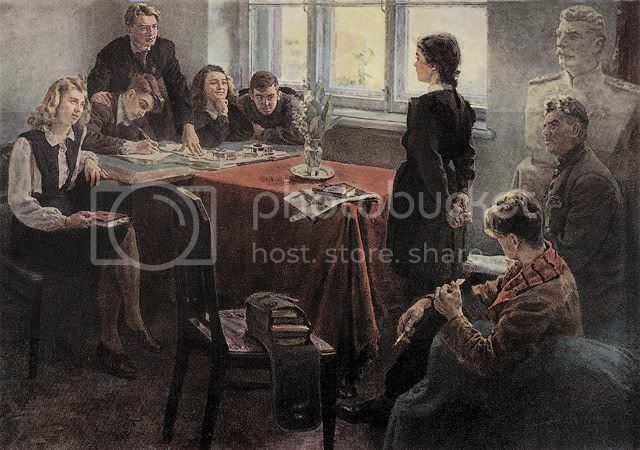 For your homework find a difference between the painting above and its previous version from 1949. Discuss amongst yourself. 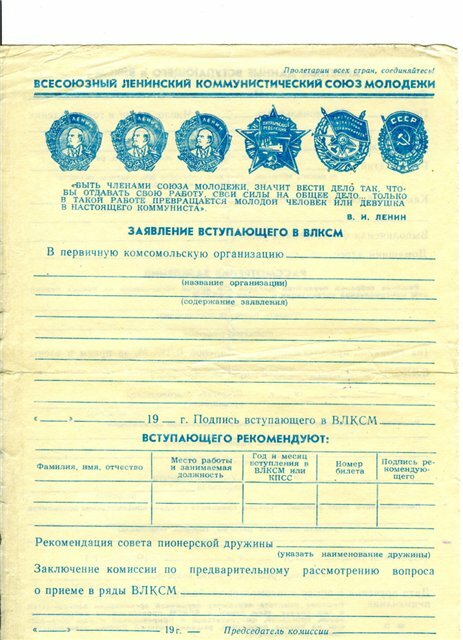 On the right side of the membership ID you see one of the pages where a payment of membership dues was marked with a special stamp. 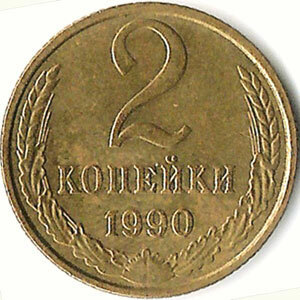 Komsomol was the first of the Communist Organizations that had actual dues. 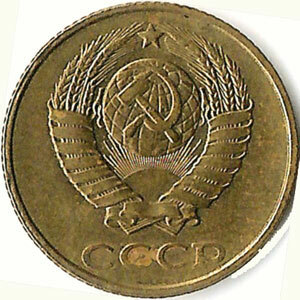 Since the Soviet kids didn’t work (unlike poor exploited children in the West) the monthly dues were two kopecks, pretty much a pocket change but multiplied by millions of members it added up to huge amounts of money. I continued to pay membership dues throughout the technical school and in the army. It increased a little but was always a small amount. Just like many other attributes of the USSR Komsomol is now fondly remembered by some. Big celebrations were held this week to commemorate the 90th anniversary. Years are like beer-goggles of history, they make even the ugly past look better.